With tobacco continuing to rule as a villain, millions of people are turning to electronic cigarettes or ‘E-Cigs' as an alternative to smoking. The trendy electrical inhalers are often marketed as a "Healthier" alternative to smoking tobacco, but are they really safe and better than conventional cigarettes? 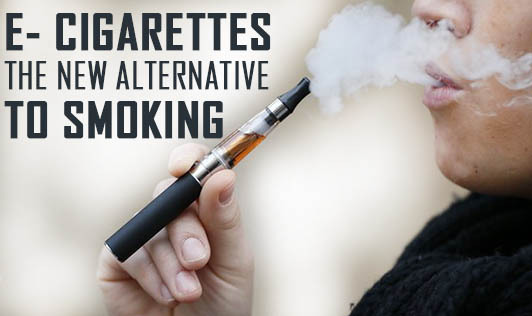 Here is a quick guide to the trendy electronic cigarettes. Electronic cigarettes or "E-Cigs" are battery-powered devices. The main component in them is a refillable liquid containing nicotine, vegetable glycerin, propylene glycol, and flavors. This liquid is vaporized by a battery and inhaled to mimic smoking. Is E-Cigs Safe To Use? Electronic cigarettes contain fewer toxins than regular cigarettes, but that does not mean they are risk free. In 2009, FDA detected known carcinogens, nitrosamines, and an antifreeze ingredient called diethylene glycol in them. It was also recently found, that repeated inhalation of propylene glycol and vegetable glycerin causes airway irritation in e-cig users. Are E-Cigarettes Better Than Conventional Cigarettes? E-Cigarettes do not contain compounds like formaldehyde, benzene, and ammonia that are added to regular cigarettes and therefore are better than the regular cigarettes. Do E-Cigarettes Help Smokers Quit Smoking? E-Cigarettes have shown to reduce both cravings and withdrawal effects of smoking but whether they help one quit smoking is still uncertain. Bottom line is while E-cigs may offer to be an alternative to smoking, long term effects of the product's safety and efficacy is unknown. Therefore, it is better to stick to known methods to quit smoking like nicotine gum and counseling. And for non-smokers and kids; don't just start using E-cigs for fun.